The Tritus™ system is the most efficient solution for manufacturing a flush casement window whilst maintaining the traditional image along with modern performance. Incredibly quick installation can be achieved with the standard 17.3mm x 3mm groove in the sash and 12mm x 3mm groove in the frame. Tritus™ is incredibly flexible with five different window configurations possible using the same 2-groove system, and highly efficient with the timber sections able to be pre-processed reducing manufacturing times significantly. All ironmongery and accessories are simply located into the grooves, increasing productivity. 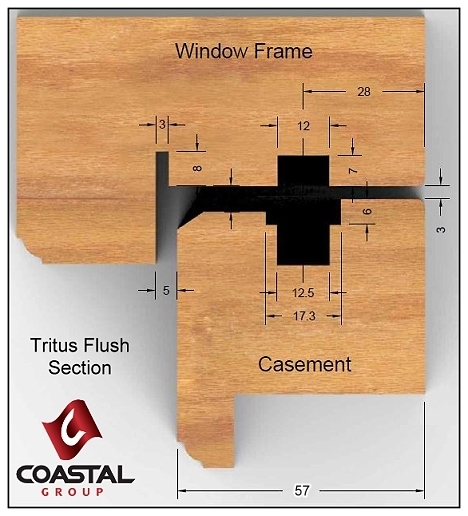 Click here to view the Tritus™ Flush window section image. Click here to see the detailed CAD Section drawing or Click here to see the PDF Section drawing. Click here to see the detailed Mullion CAD drawing or Click here to see the PDF Mullion CAD drawing. Click here to see the Tritus™ Flush 12 Page Hardware Brochure. Click here to see the Tritus™ General Maintenance Instructions. This unit can be used to extend the Tritus™ FE ear-type espagnolette bolt by 160mm per shootbolt when required, and facilitates locking into the head and cill sections. 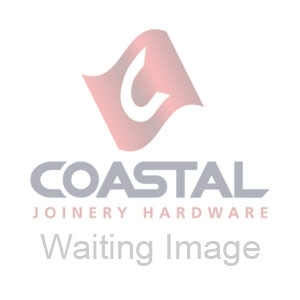 Please note; when using these on a pair of flush casement windows without a centre mullion, the ear bolts must be removed from the espagnolettes to operate. Please also note that night vent is not available when used on a single casement. Extension piece to be used with the Tritus™ Espagnolette Bolts, available in 3 different lengths and come with the option of either no sidebolts, sidebolts to the top shootbolt, or sidebolts to the bottom shootbolt. The support fitting is used to support windows, the plastic wedge is mounted in the IPA system groove on the sash and the aluminium rail is mounted on the bottom frame.